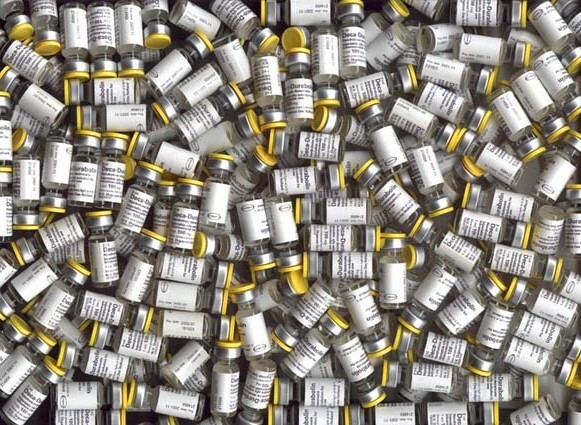 A French-Moroccan bodybuilder who operated an internet steroid distribution ring in the United States while living in France has pleaded guilty to illegally importing and distributing anabolic steroids. Karim Mourahib was responsible for soliciting orders over the internet from France and ordering bulk quantities of anabolic steroids from China. He directed his Chinese supplier to ship the steroids to his partner in Tennessee who handled product fulfillment. Mourahib’s role in the operation focused primarily on internet sales. The Pittsburgh Post-Gazette identified Jordan Robbs as Mourahib’s partner in Chattanooga, Tennessee. Robbs is reportedly under investigation along with four other individuals in Tennessee for their involvement in the Mourahib conspiracy as part of a broader steroid case involving the Drug Enforcement Agency (DEA), the Food and Drug Administration (FDA) and the Criminal Investigation Division of the Internal Revenue Service (CID-IRS). FDA Special Agent Sean Grillo made controlled purchases and had them delivered to an undercover address in Pittsburgh. The shipment was traced back to Tennessee where authorities set up surveillance on Robbs. The IRS also became involved and traced wire payments made via Western Union and MoneyGram to Mourahib’s Chinese supplier identified as Tingwin Wang of Shanghai. Agent Grillo tricked Musclebear into traveling to a U.S.-friendly country that had an extradition agreement with the United States. It appears that the United States government is actively working to bring foreign sources into jurisdictions where they can be arrested and ultimately prosecuted under U.S. law. Mourahib was arrested in September 2010 when he entered the United States on a vacation to Miami. He has been in federal custody ever since. He will remain incarcerated at least until November 2011 when he will be sentenced by U.S. District Judge Donetta Ambrose.